Skin bumps and growths are any type of lesion that grows on or under your skin. 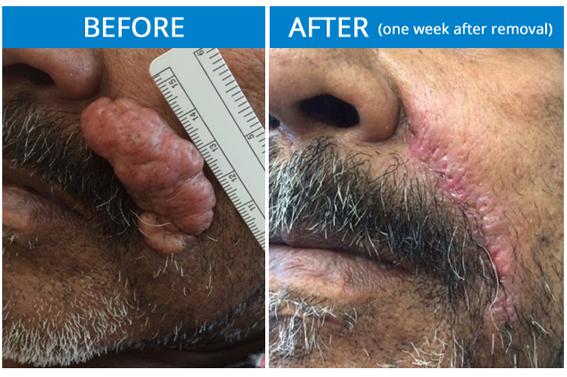 Sometimes, these growths are skin cancer and many other times they are not. Lesions that are not skin cancer are considered benign, meaning they will not invade into surrounding tissue or spread to distant sites through your body. However, these benign lesions can still be annoying, irritating, or just plain ugly. We understand that you may want to remove these bumps for a number of reasons. To learn more or set up your personalized appointment, contact us today!